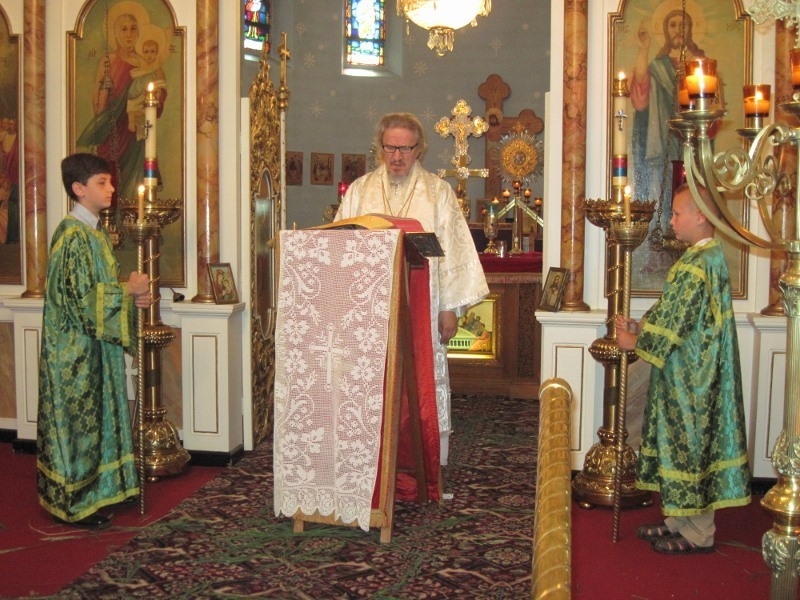 Youngstown, OH - Fifty days after the Resurrection of our Lord Jesus Christ, the Holy Spirit descended upon the Apostles in the form of "cloven tongues of fire," with the sound of a mighty rushing wind, and they began to speak in languages that they did not know. Orthodox Christians call this day Pentecost and is more commonly known by the Serbian people as Duhovi. 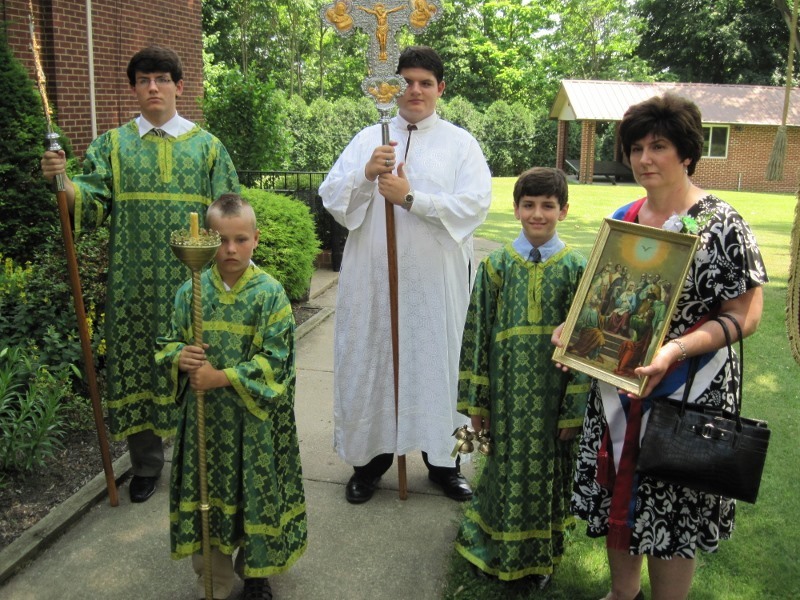 On Sunday June 23, 2013, the parishioners of Holy Trinity Serbian Orthodox Church in Youngstown, Ohio celebrated their Krsna Slava and were honored and grateful to have His Grace Bishop Dr. Mitrophan serve the Divine Liturgy. 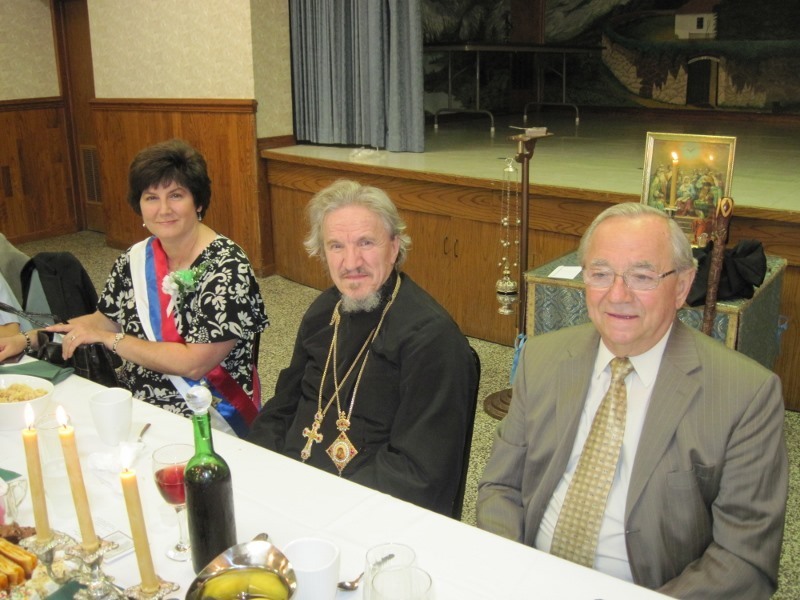 Following a procession around the church three times, a traditional Slava banquet prepared by the Kolo Srpskih Sestara was held in the church hall with the cutting of the Slavski Kolach. Serving as Kumovi were Lori Moncilovich and sons George James, Ethan and Isaac. Graduates honored during the banquet were Brittany Danilov with a Master's degree and George James Moncilovich and Ilija Lyras from high school. Congratulations to the Kumovi and graduates! Ziveli na Mnogaja Ljeta!